In order to get the highest price in the shortest time, you need to know how to market your home. The better you market your home, the more offers you will get. And the more offers you get, the more choices you have to get the price and terms you want. The most important factor of marketing your home is pricing it right. 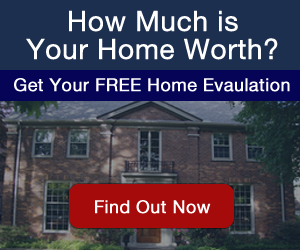 Your price should be adjusted to reflect the market and the property’s worth. The key is to have many people looking at your property at a competitive price or you may lose appointments because the price is too high. Another important factor is the condition of your home. Make sure that your home looks ready to be sold. Fix any defects (peeling or faded paint, cracks, stains, etc.) Condition alone can sometimes prompt fast buying decisions. Not only should you fix any defects, but consider upgrading your home by making major repairs and cosmetic improvements before selling. A nice looking home triggers the emotional response that can lead to a financial response. A bad first impression weighs in as deeply. Don’t show your property until it’s all fixed up. You do not want to give buyers the chance to use the negative first impression they have a means of negotiation. Ask around for the opinions others have of your home. Real estate agents who see houses every day can give solid advice on what needs to be done. Consider what architects or landscape designers have to say. What you need are objective opinions, and it’s sometimes hard to separate the personal and emotional ties you have for the home from the property itself. 1)Analyze why you are selling – If you understand your motives, you will be able to better negotiate and to get what it is that you want, whether it be a quick sale, high price, or somewhere in the middle.2)Prepare you home for the buyer – Maximize the strengths of your property and fix up it’s weaknesses. You want the buyer to walk away from your home with a lasting good impression.3)Find a good real estate agent that understands your needs – Make sure that your agent is loyal to you, and can negotiate to help you achieve your goals. In addition, they should be assertive and honest with both you and the buyer.